You’ve decided to start your fitness journey and have no clue where to start or what to do. Don’t worry, we here at PI are here to help! If you have additional questions after reading our blog, please feel free to comment below. 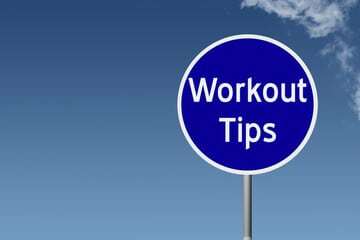 Tips 1 – Make fitness a habit. Working out once is a great start. However, working out once a in a blue moon won’t deliver the results you’re craving. I know finding the time to work out is a task in itself, but you really can make time in your day if you try. A simple way to make more time in your schedule is by waking up 30 minutes earlier to get that workout in 4 times a week. Working out 4 times a week will help you see the changes you want. Make fitness a habit and before you know it, you’ll be looking forward to your gym sessions. Tip 2 – Eat healthy. You can’t have a healthy lifestyle without a healthy diet. And a healthy diet means not just what you consumer, but how much and how often. It’s important to practice portion control regardless of what you’re eating, and avoid meals and snacks after 8 PM. Quick rule of thumb? Get your leafy greens, eat lots of veggies rich in protein, opt for fruit when in the mood for a sweet treat, and drink tons of water. If you’re looking for a healthy snack check out Performance Inspired Protein Cookies! They will definitely take care of that sweet tooth, and they’re delicious! Tip 3 – Don’t be the smelly guy. Ever catch wind of an unfortunate smell mid workout? Skip a machine or part of your routine to avoid the lingering scent of BO? No one wants to be the smelly guy at the gym, yet somehow, there always is one. Practicing basic hygiene and keeping your gym clothes fresh and washed will keep you smelling good regardless of how much sweat you drip during your workout. Don’t forget your deodorant! And never keep damp, sweaty gym clothes in your bag. Finding the right workout buddy is no simple task. You’ve got to find the right kind of person with the right attitude and the right goals to make your workouts even better. Visit our blog Why You Need A Workout Buddy here : https://pi-nutrition.com/why-you-need-a-workout-buddy/ for reasons why you need a workout buddy. Water works fine for a slow walk. However, if you’re planning a full-on run, or anything over 10 minutes, it’s best to consider a re-hydration drink. Performance Inspired offers a Ready 2Go Proteinand Re-hydration Powder. Both products will help you stay hydrated, and are easy to take on the go. The reason most people fail at their New Year’s Resolution Goals is that they are unrealistic. For example, some people will make a resolution not to eat chocolate ever again. Honestly, that’s just setting yourself up to fail. The resolution should be cut back on eating chocolate from every day to 1-2 times a week. By setting realistic goals, you are less likely to fail.